At the start of the 2009/10 season Kirill Karabits began his four-year tenure as principal conductor of the Bournemouth Symphony Orchestra. 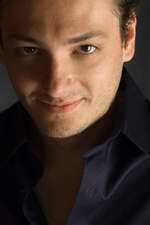 In recognition of his work, he was shortlisted for a Royal Philharmonic Society award in the conductor category in 2010. In much demand as a guest conductor, his future engagements include a return to the Philharmonia Orchestra, an appearance at the Bath Mozartfest with the London Philharmonic Orchestra and at the Snape Proms at Aldeburgh with the Britten-Pears Orchestra. Other highlights include concerts with the Royal Philharmonic Orchestra, the SWR Sinfonieorchester Baden-Baden und Freiburg, the Danish National Radio Symphony Orchestra, the Rotterdam Philharmonic and Netherlands Radio Philharmonic Orchestras, the Orchestre Philharmonique de Strasbourg, the Orquestra Simfònica de Barcelona and an appearance at the Berlin Konzerthaus. Born in 1985 in Frankfurt, Leonard Elschenbroich received a scholarship, aged ten, to study at the Yehudi Menuhin School in London. He subsequently studied with Frans Helmerson at the Cologne Music Academy. 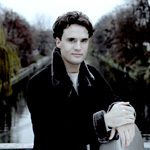 Elschenbroich received the Leonard Bernstein award at the opening concert of the 2009 Schleswig-Holstein Festival, following his performance of the Brahms Double Concerto with Anne-Sophie Mutter under the direction of Christoph Eschenbach. Since then, he has been hailed as one of the most important and charismatic cellists of his generation. The London Handel Orchestra was formed in 1981 to perform at the London Handel Festival which is an annual celebration of the life and works of George Frideric Handel, held mainly in venues which have a specific resonance with the life of the composer, including St George’s, Hanover Square, Handel’s own church. A stunning combination of virtuoso players who also enjoy active solo careers, London Winds' performances are renowned for their technical brilliance, interpretative vision and joie de vivre. Founded in 1988 by British clarinettist Michael Collins, the group has rapidly become one of the world's most prominent chamber ensembles. The group is flexible in its make-up, augmenting its five original principal members with top international pianists and chamber musicians for certain repertoire. In particular, London Winds have enjoyed close associations with pianists Stephen Kovacevich, Howard Shelley, Pascal Rogé, Barry Douglas and Boris Berezovsky, and instrumentalist Isabelle van Keulen. 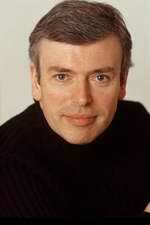 Recognised as one of leading accompanists of his generation, Malcolm Martineau has worked with many of the world’s greatest singers including Barbara Bonney, Susan Graham, Sir Thomas Allen, Dame Janet Baker, Olaf Bär Ian Bostridge, Angela Gheorghiu, Thomas Hampson, Simon Keenlyside, Magdalena Kozena, Dame Felicity Lott, Christopher Maltman, Karita Mattila, Ann Murray, Anna Netrebko, Anne Sofie von Otter, Joan Rodgers, Frederica von Stade and Bryn Terfel. For ONYX, he has recorded with Barbara Bonney, Susan Graham, Amanda Roocroft, Elena Kelessidi and Florian Boesch. Click here, here, here, and here to see Onyx Classics titles featuring Malcolm Martineau. Recognised as one of the world’s best and most charismatic viola players, Maxim Rysanov is the winner of the prestigious 2008 Classic FM Gramophone Young Artist of the Year. Additional awards include the Tertis and Geneva competitions as well as the 2007 BBC New Generation artist scheme. 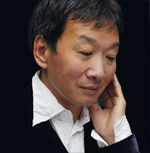 Maxim’s recording projects include a Decca disc of Bach Inventions with Janine Jansen and Torleif Thedéen, which reached number 1 in the iTunes charts in the USA, a concerto disc of Tavener and Kancheli (Onyx) and a recital disc with Evelyn Chang (Avie) both of which were named Gramophone Editor’s Choice. Forthcoming recording plans include a disc of unaccompanied Bach and a disc with Tchaikovsky and Tabakova works with orchestra. Exploration, insight and imagination are vital ingredients in Melvyn Tan’s blend of artistic attributes. He established his international reputation in the 1980s with pioneering performances on fortepiano and continues to cast fresh light on music conceived for the piano’s early and modern forms. Tan possesses a profound understanding of his instrument’s history, its technical evolution and musical development. His performances of piano masterworks, whether on a late eighteenth-century fortepiano or today’s concert grand, penetrate the surface of interpretive traditions and received wisdom to reveal countless expressive nuances and rarely heard tonal contrasts. Acclaimed for the wit and poetry of his playing, Tan has also received ovations for his bold programming and exceptional ability to switch from fortepiano and modern piano, even in the same recital.